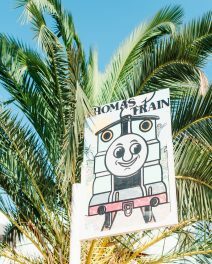 The billboards that run along the highway from Ibiza airport are unique. There is nowhere else in the world where roadside advertising is the exclusive domain of nightclubs and superstar DJs. The sight of them looming out of the hard shoulder adds further excitement to those arriving and a sense of nostalgia for those leaving. 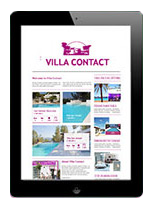 Villacontact has entered this hallowed ground and joined the likes of Sven Väth, Pacha Ibiza, David Guetta and ANTZ with its very first billboard dedicated to fine island living. 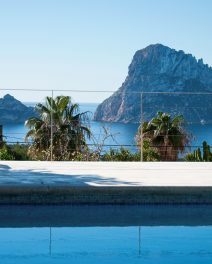 Situated just outside of Ibiza town on the right-hand side of the highway, it is unmissable. 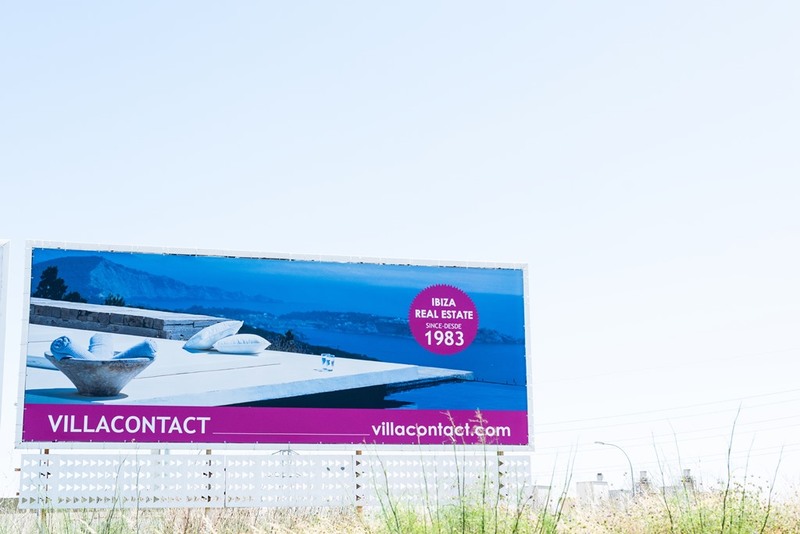 Featuring one of Villacontact’s most impressive properties with views across the sea, the billboard is advertising a different side to the Ibiza lifestyle than its other highway counterparts. 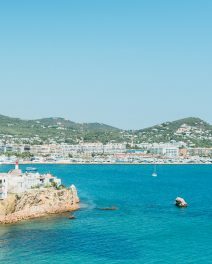 While the white isle is still a magnet for music lovers and party goers, a sense of maturity has started to seep into the local scene. People who once visited are now considering a full sea change and Villacontact’s billboard is out there to greet them.